This half eternity wedding band is adorned with five dazzling prong set lab grown diamonds that sparkle endlessly. 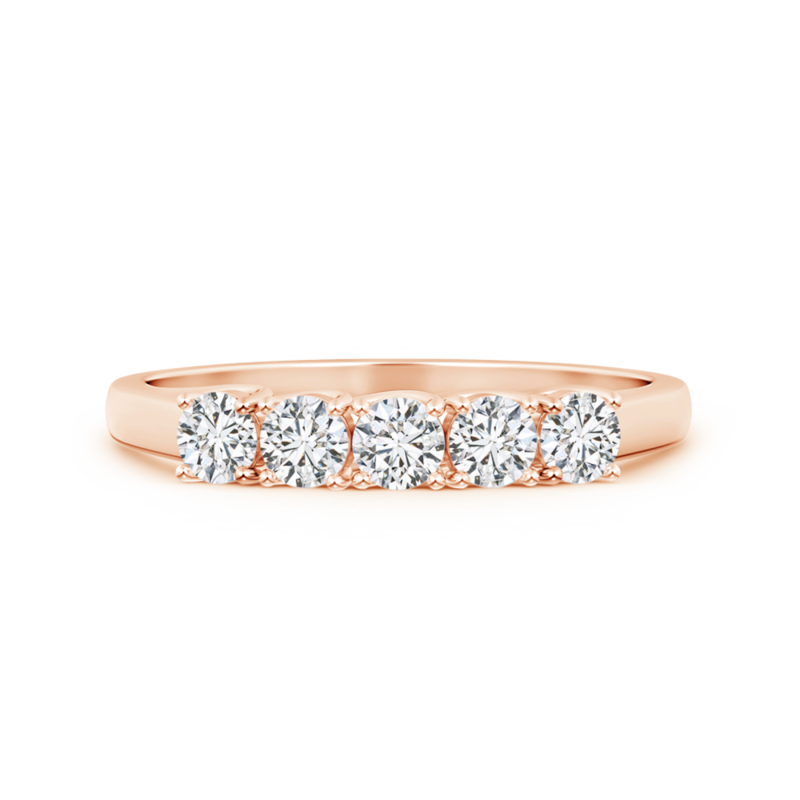 The lustrous 14k gold band perfectly complements the glimmer of the diamonds. This style comprises of impeccably crafted rings that are embedded with sparkling gemstones along half of the circumference. Our collection of non-eternity rings also features a variety of attractive design elements, such as milgrain detailing, contoured silhouette and dome edge for an enhanced visual allure. Non-eternity rings with their distinctive and versatile appeal are perfect for those looking for a wonderful alternative to a traditional eternity band. The absence of stones in the bottom half makes them more comfortable to wear as well.